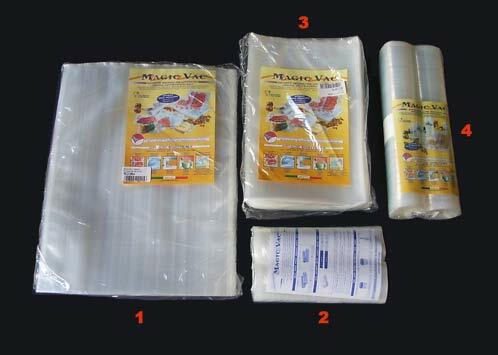 50 pre-cut bags for vacuum sealers (dimensions cm. 30x40 and cm. 20x30) and rolls for bags (dimensions cm. 20 x 6mt. both) . These new patented bags are made of double ribbed layers, with an outer layer in nylon and an inner layer in polyethylene. These heavy-duty bags provide a moisture and oxygen barrier that protects your food from freezer burn.